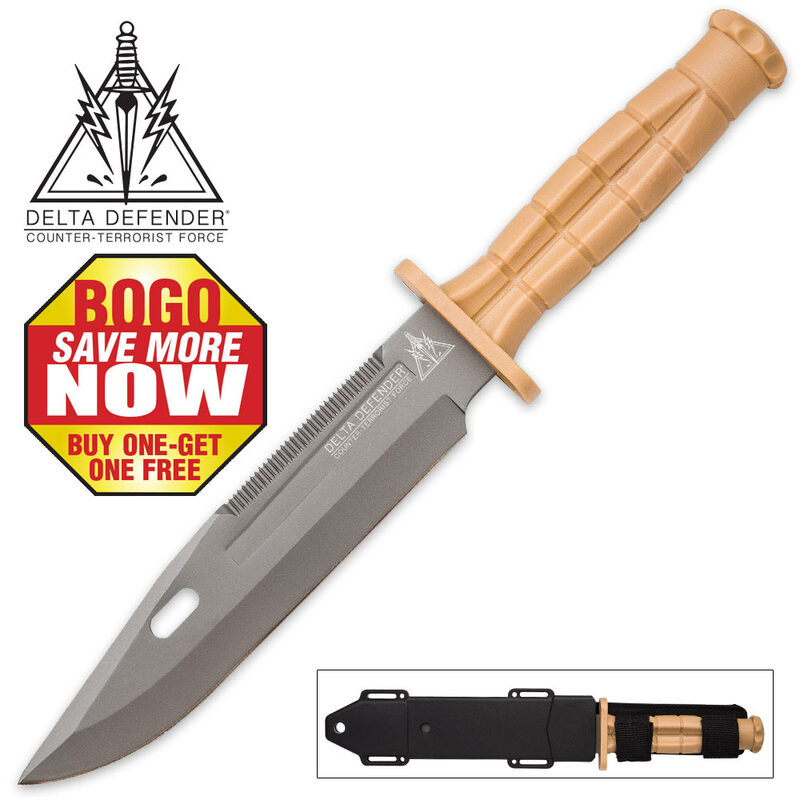 The Delta Defender Khaki Fixed Blade Knife is your go-to companion for any environment! The non-reflective 7” stainless steel blade has partial serrations on the spine and the “Counter-Terrorist Force” etch. 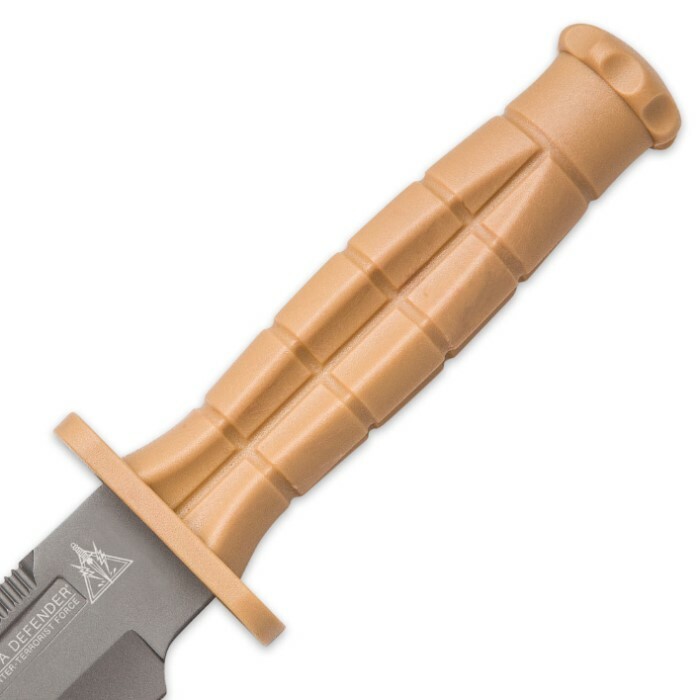 The khaki TPU handle has a comfortable ergonomic feel when you hold it and a beefy handguard. 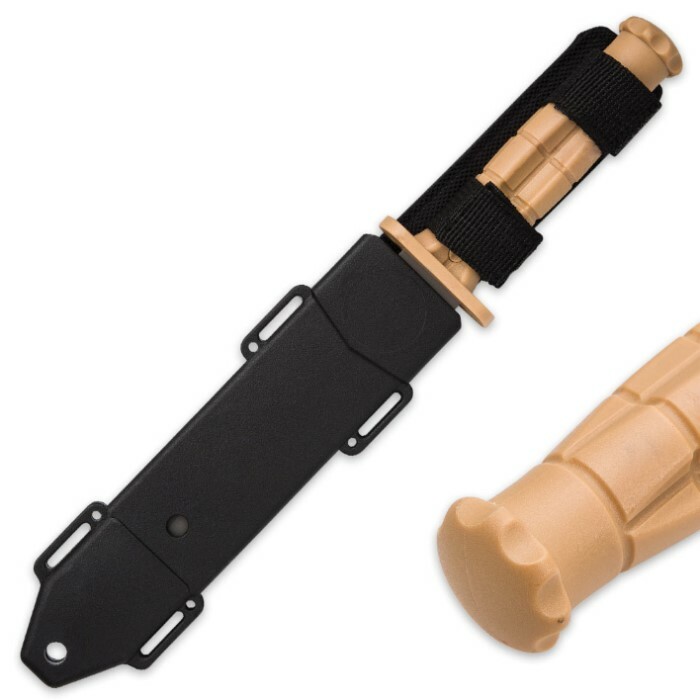 A tough TPU and nylon leg sheath protects the blade and makes it easy to carry. In wilderness survival, the heat of battle or any other harrowing scenario, don’t trust your life with anything less than a Delta Defender! You get two tough survival knives for the price of one! Amazing blade,100% grade A quality and super sharp right out of the box. Handle at first looked like cheap plastic but, the second you grab hold you can feel the solid material, and the serated part of the knife is extremely sharp. Great for camping, cut through many bushes and vines with this. Would definitely recommend, also the sheath is perfect.